Free parking for cars and motorcycles in a private parking lot just outside the bungalows area. 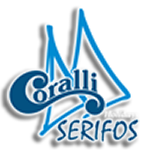 Daily transportation service from and to the port. Timetable is relative to ship arrivals and departures. Ideal for families with children. Children can enjoy swimming, eating and playing in our safe environment with very few restrictions, feeling free and reconnecting to nature. How about a fine traditional meal prepared with organic products grown on Serifos? Come and discover us. Serving breakfast to dinner on a daily basis, "Coralli-Restaurant" in Serifos offers you a range of mouth-watering dishes that appeal to all tastes. 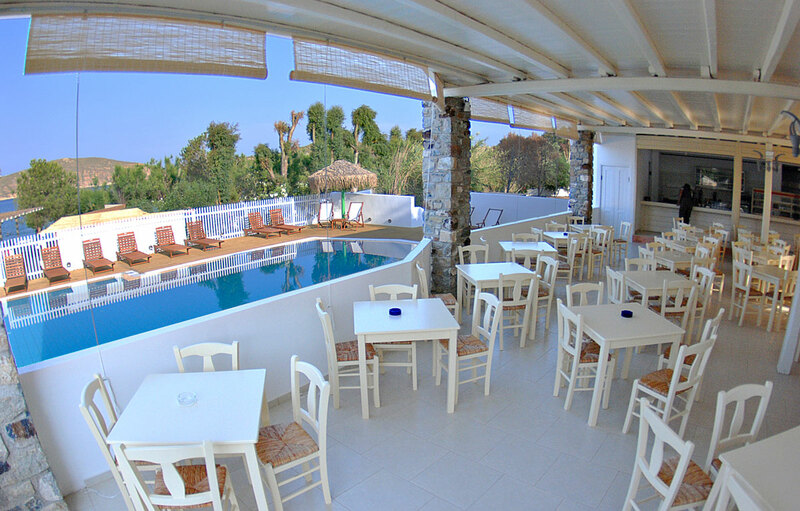 Enjoy your meal in a shady and spacious open terrace next to the swimming pool. Coralli restaurant is a self-service facility open daily with breakfast served from 08:00 a.m.
Get that sunkissed tan while lying on our comfortable sunbeds and have a refreshing swim while enjoying the latest music hits. The friendly people of Coralli operate a swimming pool bar, catering for all tastes and needs. 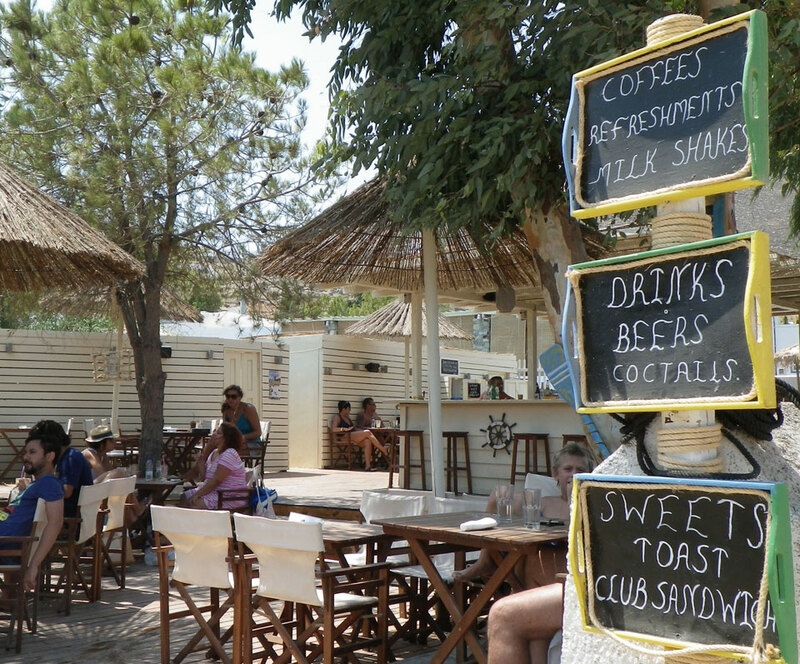 Have a swim and enjoy the sun while listening to the latest music hits and savour a tasty breakfast, snack or a nice cool drink or coffee right next to the beach. Located on the Bungalows beach, Coralli Lounge Bar will serve you any time of the day in a beautiful, cool and shady setting.